North Point Mall continues to land new retailers. 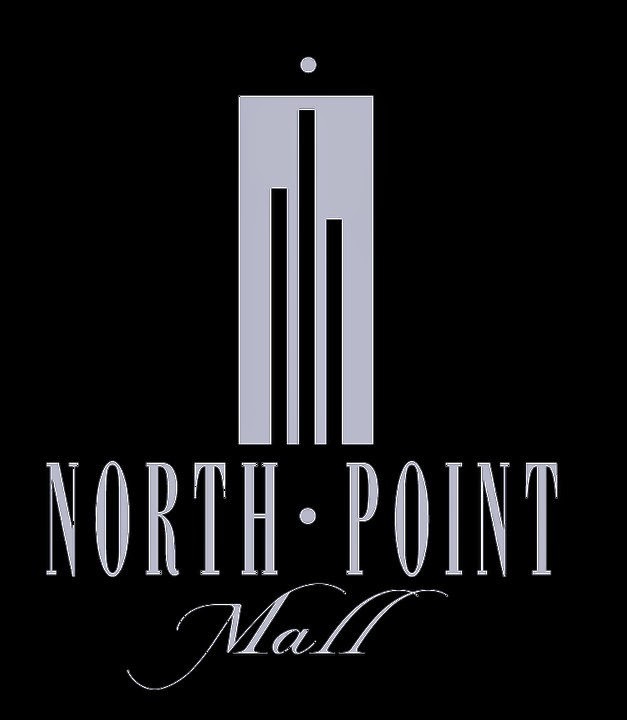 North Point Mall in Alpharetta was completed in the fall of 1993. The mall was built by Homart Development Company, a subsidiary of Sears, and one of the largest builders of shopping centers and malls in the late 50's through the mid- 90's. When the mall opened, it had space for six anchor stores (the most in one mall in Georgia at that time). Only five of these spaces were originally occupied: Rich's, Lord & Taylor, Mervyn's, JCPenney, and Sears. The former Mervyn's is today a 12 screen AMC Theatres with IMAX. (The space was occupied by Parisian in between.) The Lord & Taylor space became a Belk, but only lasted a short time before closing. Today, that space is home to Von Maur, a new-to-market department store based in Davenport, Iowa. Rich's became Macy's while J.C. Penney and Sears remain in business in their original locations. 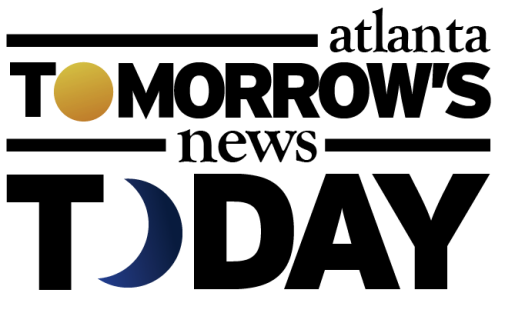 Today, North Point Mall is owned and managed by General Growth Properties, the same firm behind other metro malls such as Cumberland Mall in Smyrna and Perimeter Mall in Dunwoody. North Point Mall consists of 1.3 million square feet of GLA (Gross Leasable Space), of which there is reportedly only 6% vacant. Avalon, a new center located a few miles north of North Point Mall on Old Milton Parkway, is slated to open October 30th. Many have said the opening of Avalon will mean the end of North Point Mall. Many things have changed in the 20+ years since the mall first opened. Chains have come and gone, and in some cases, entire industries have ceased to exist. Waldenbooks, Store of Knowledge, KB Toys, Atlanta Braves Clubhouse store, Field of Dreams, The Mole Hole, Challenges and Mick's, just to name a few, have all closed over the years at the mall. Amazingly, North Point Mall is still home to the Disney store. If memory serves, this may be the only local example of Disney never having left the mall. During the 90's, Disney had stores at Lenox Square, Gwinnett Place, Northlake, Cumberland and elsewhere but all have since closed. The company did open a new concept store at Perimeter Mall in 2011. That's not to say the mall is in trouble. In 2007, North Point Mall landed Atlanta's first, and currently only, American Girl Boutique & Bistro. This attraction, still one of just a few in the country, draws young girls from not only Georgia but other surrounding states as well. North Point is also home to one of the only LEGO stores in metro Atlanta, as well as Michael Kors, G by Guess and H&M, among others. Gap and Banana Republic announced that they would relocate to Avalon, and already a portion of the former, a rather large Gap store, has been replaced by a Sur la Table retail store and cooking studio. 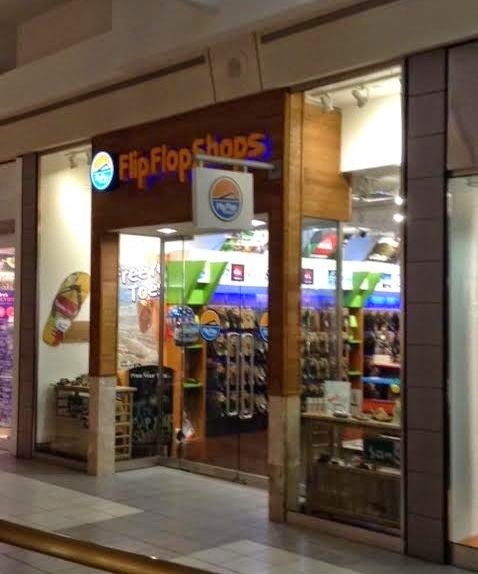 This past June, North Point Mall also welcomed metro Atlanta's first Flip Flop Shops franchise. There are a few changes afoot. Forever 21 is expanding their store within North Point Mall to create a 15,000 square foot space, more than doubling their current space. An existing location of Express will downsize and relocate within the mall to accommodate the Forever 21 expansion. Apple is reportedly interested in relocating and expanding at North Point. The potential location is the remaining former Gap space, roughly 7000 square feet. Apple's new SVP of Retail and Online Stores Angela Ahrendts is reportedly looking at putting her stamp on Apple's retail stores and may be looking at an overall retail refresh. In addition to a possible new look, selected malls are being targeted for relocation/expansion to accommodate new products/lines. Apple has relocated and or enlarged stores in a number of malls in recent years, among them, South Park Mall in Charlotte, Aventura Mall in Aventura, Florida and Roosevelt Field Mall on Long Island, New York. 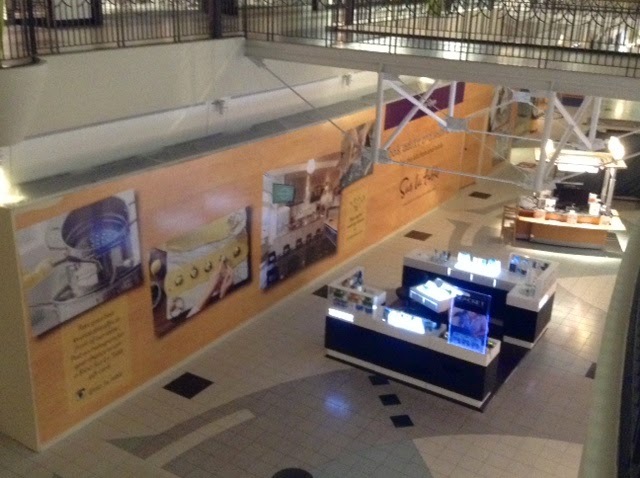 Apple's new 7300+ square foot store is currently under construction at Cumberland Mall. Victoria's Secret will renovate their existing space and will add their younger, "Pink" store. The combo store is reportedly going to sport a first-to-market "prototype" storefront. As I previously announced, Bath & Body Works will downsize slightly to allow for its sister brand, White Barn, to join the mall. The White Barn candle concept was phased out by Bath & Body Works, but is now being reintroduced. Flip Flop Shops opened in June. Nearby, but not within the mall, popular eateries Chipotle Mexican Grill, Pollo Tropical, Corner Bakery and Zoës Kitchen have all opened stand alone restaurants. TopGolf, a giant golf and entertainment complex, opened in May about a mile away from North Point Mall. (A second Top Golf is slated to open next year on Atlanta's Westside.) Main Event, a family entertainment destination similar to Dave & Busters opened in the former Home Depot EXPO off Mansell Road in late June. Popular outdoors retailer REI plans to open a new location on North Point Parkway, just its fifth store in the state. What do you think will happen to North Point Mall and the surrounding retail once Avalon opens? What is your favorite retailer or restaurant at North Point? Do you have any favorites gone but from the mall but not mentioned in this article? Good article, as always Eli. North Point has come a long way. Consider that a few years ago they had two empty anchor stores at about the same time. That alone could have deep sixed them. The city and its planners are very aware of the mall's age and don't want to see it go the way of Gwinnett Place. When Prospect Park was in the works they put a no poaching clause on developer Stan Thomas to keep him from stealing mall retailers. North American Properties negotiated to have this clause removed from Avalon. Nevertheless North Point has done remarkably well in this new, very competitive leasing arrangement. Their next challenge, in my opinion, will be dealing with Sears and JC Penny as these old dinosaurs slowly die. There's a Disney Store at Town Center Mall at this time. I remember it from years ago, and wasn't aware that it had ever closed. The Pottery Barn closing is very surprising to me. I know from someone that works within that company that the North Point store did very well. I see no reason why they would close unless they're moving elsewhere. Why would PB not want a store in North Fulton? That's a big loss for North Point Mall. Highly doubt North Point goes the way of Gwinnett Place unless the demographics shift sharply around the area. MOG did help in the downfall of GP, but demographics (income and immigrant) played a bigger role. Actually the demographics have shifted since the Mall first opened. There is a large immigrant(many different nationalities) population that shops at the Mall that did not when the mall first opened up. A happy medium needs to be found to prevent a repeat of Gwinnett. Income wise, yes there is a high income in the area, but there are also low to middle income earners that also shop there and live near by.  Many stores that opened 21 years ago failed or switched gears because that fact was ignored.One Jeweler, that is now out of business, geared its merchandise selection to a higher income, even though that jeweler had always been known to appeal to the lower end. They took a big loss the first year and then had to change back to a normally merchandised store.I think that Rich's also had originally envisioned a Blomingdale like environment and customer base. That did not work. There is a more balanced mix in the Mall now. Why is Pottery Barn closing? Pottery Barn is not relocating to Avalon but there will be a Pottery Barn Kids aka PB Kids at Avalon. I think the store closed so that corporate could focus on its remaining, more profitable stores as reportedly the north Fulton market had not as well for them as they had hoped. Really interesting. Hard to believe that PB wouldn't do well in North Fulton. Arhaus and West Elm must think they know the market better, but I can't see them doing well if PB failed. I heard a new location of Tampsville, ID retailer Butterpuss was opening there soon too. I hope they do because they have some pretty cool phone accessories and stuff there. Do you know anything about a new Butterpuss location? Arhaus and West Elm in "suburban" Alpharetta? I dont see that going over well with the soccer moms who read Better Homes & Gardens. Arhaus too sophisticated for McMansions. Does West Elm think Alpharetta is Midtown? Arhaus and West Elm are not as cool as you think they are.